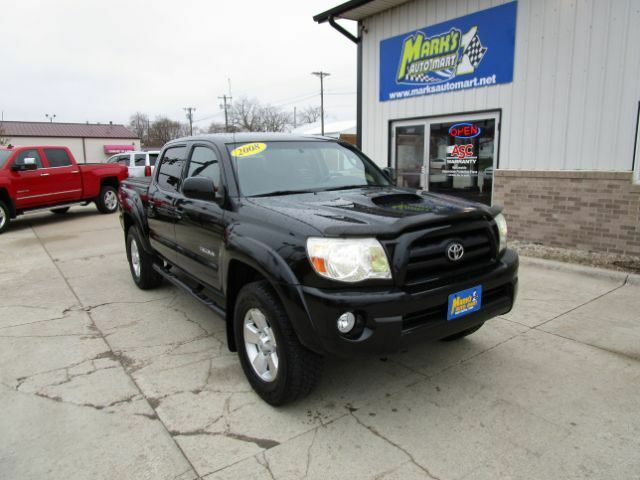 Our 2008 Toyota Tacoma TRD Sport Double Cab 4X4 is probably the most well-rounded midsize pickup on the market. Our Double Cab is powered by the 4.0 Liter V6, which produces 236hp when paired with a smooth shifting Automatic transmission. You''ll fall in love with the power and maneuverability of this seductive Four Wheel Drive. From the athletic exterior of our TRD Sport to the comfortable and well-appointed interior, this truck will keep a smile on your face! The interior of this Double Cab has plenty of features you''ve come to expect from Toyota. With all the power accessories, you''ve come to know and love along with steering wheel audio controls, a great stereo with a CD player, you''ll be jamming to your favorite tunes while sitting in the lap of luxury. Plus, you''ll be kept out of harm''s way with equipment such as ABS with brake assist and an army of airbags. This Tacoma will do all you ask and make it FUN in the process! Don''t delay! Print this page and call us Now... We Know You Will Enjoy Your Test Drive Towards Ownership!